There's this thing that some books do and it just makes me furious when I notice it. They say "Kimolos is Milos' little sister" or "Sikinos is Folegandros' baby brother" or "Delos is Mykonos' cousin" and such. It's just so frustrating because every island has its own character and we shouldn't just dismiss it because it doesn't have the tourists or the sites the larger islands do. I have to admit, I didn't spend many days in Sikinos. and I visited while I was in Folegandros two years ago. We spent about 5 days in Sikinos and all three of them were great. Now there's not so many things I can tell you about Sikinos. I know it used to be known as Oinoe (Island of Wine) in Ancient Greece. I know it contrasts with the islands nearby, such as Ios, because most of them are touristy while Sikinos is quite and relatively less developed. I also know it's a rather small island. Finally, I know that Leela and Hope and Constantine (and I) surprisingly had one of the best times of our lives there. So I hope that what I have to say is enough to convince you to give this tiny island a chance. Do what I did: combine your vacation to an island nearby with a short visit to it. You won't get bored and you'll get the chance to see more places than one. Besides, it's always refreshing to visit a quiet island before you move on to a larger, noisier one. What does Sikinos look like? Sikinos is actually considered to be one of the most beautiful islands of the Cyclades. There's only three settlements, the port of Alopronia and the villages of Hora and Kastro that comprise its hilltop capital. 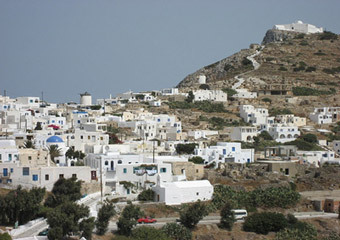 Sikinos is a mix of stone mansions, narrow alleys, whitewashed houses and picturesque windmills. The beaches are decent and it has a swooping landscape of terraced hills and mountains. 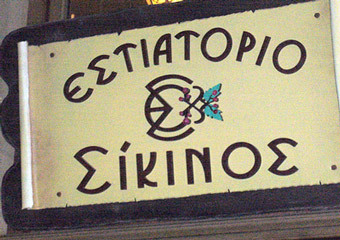 Sikinos mostly has a traditional character. Are there any places I should not miss in Sikinos? Kastro itself is the place you should not miss. 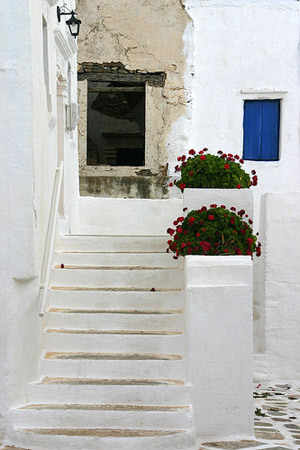 Kastro is a charming place with winding alleyways and lovely old houses, brilliant white in the sun. Its heart is the church of Pantanassa, but it's not the only church. There's also the fortified Moni Zoodohou Pigis that stands on a hill above the town. Deserted since 1834, it resembles a castle as it is enclosed by a wall and dominates from the top of a rock. The Moni served as a shelter during the period of pirate raids. Other than these, the only place that comes to mind is Mavri Spilia, the Black Cave, on the northern part of the island. 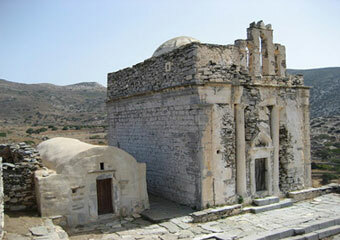 What about the historical and archaeological sites of Sikinos? First of all, I'm going to mention the mansions that I mentioned above as well. 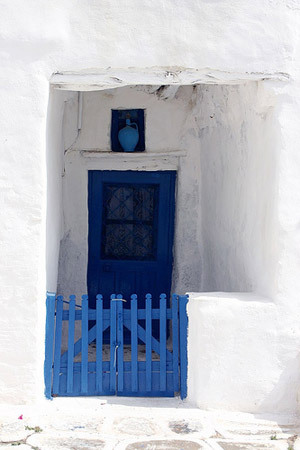 The stone mansions are simply excellent examples of folk Cycladic architecture and just for that, they deserve a visit. Other than that, there's Episkopi. 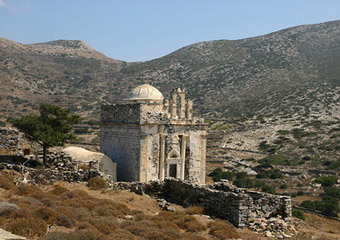 Remains of it are believed to be a 3rd century AD Roman mausoleum that was first transformed in the 7th century into a church and then became Moni Episkopis in the 17th century. From there you can climb to a little church and ancient ruins perched on a precipice to the south from where the views are just spectacular. 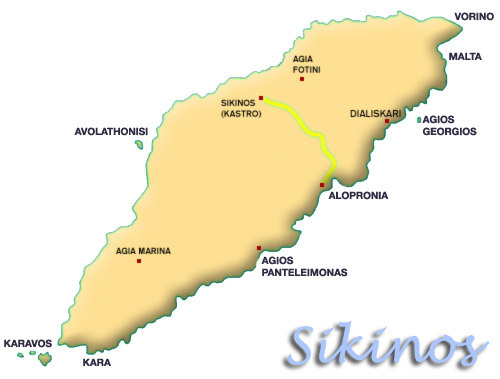 Are there any good beaches in Sikinos? Caiques can take you to the best beaches of Sikinos. Unfortunately, there's not many of them, but if you visit Agios Georgios and Agios Nikolaos for example, you will be satisfied. Katergo is decent as well, a swimming place with interesting rocks. As for Malta, there are even ancient ruins on the hill above it. 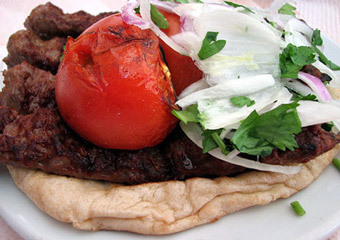 Where should I eat in Sikinos? First of all, to Steki tou Garbi is a good grill house. Lucas, at the port, is a local favorite. Rock Cafι/Braxos Pizzaria is pretty good as well. Meltemi is where the fishermen gather, ideal for a simple lunch. Unfortunately, Sikinos is not quite big on the way of nightlife. Sikinos is the kind of island that you visit if you want a quiet holiday. I don't even think I can recall one bar there. How do I get to Sikinos? 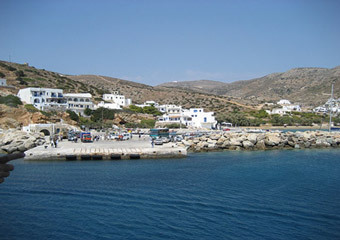 From Piraeus there are schedules to Sikinos throughout the year. The trip lasts about 8 hours and 15 minutes. During the summer Sikinos is linked by ferries and speed-boats to most of the Aegean islands.